One week as a live aboard! Well, the exit from our home on land was difficult, exhausting, and sometimes emotional. We gave away most of our belongings and kept the most important stuff; photos, things our kids made when they were little, and a few precious things that have sentimental value and not much else. 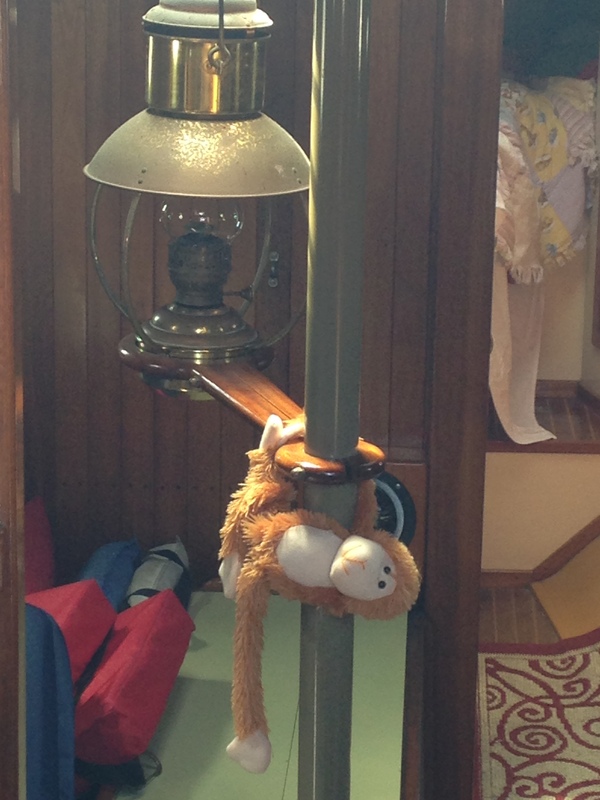 We kept what we thought we would need to be comfortable on the boat. 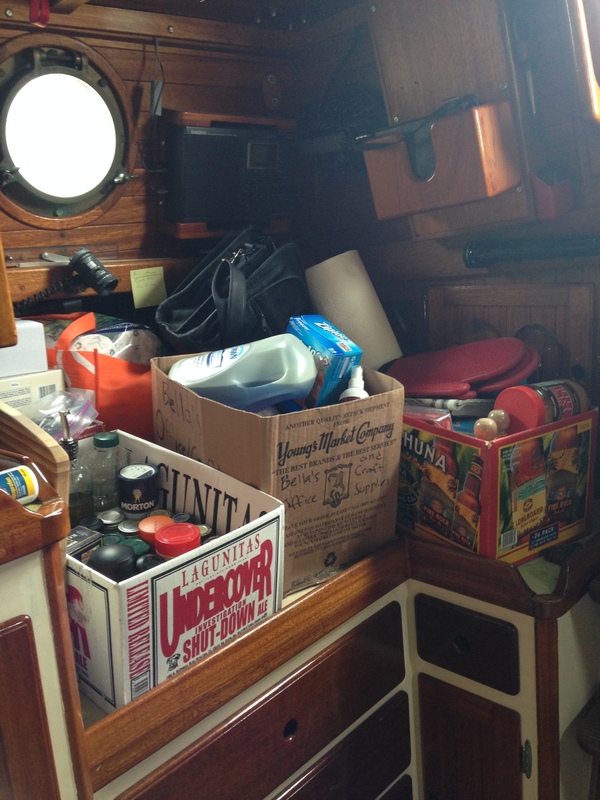 However, Once we got the “small” pile of stuff onto the boat, it seemed like we had a mountain of stuff. We were immediately faced with the task of finding a place for each item and even reducing the pile in some cases. I mean really, why did I think I needed four cutting boards? And the spice situation is still an issue. 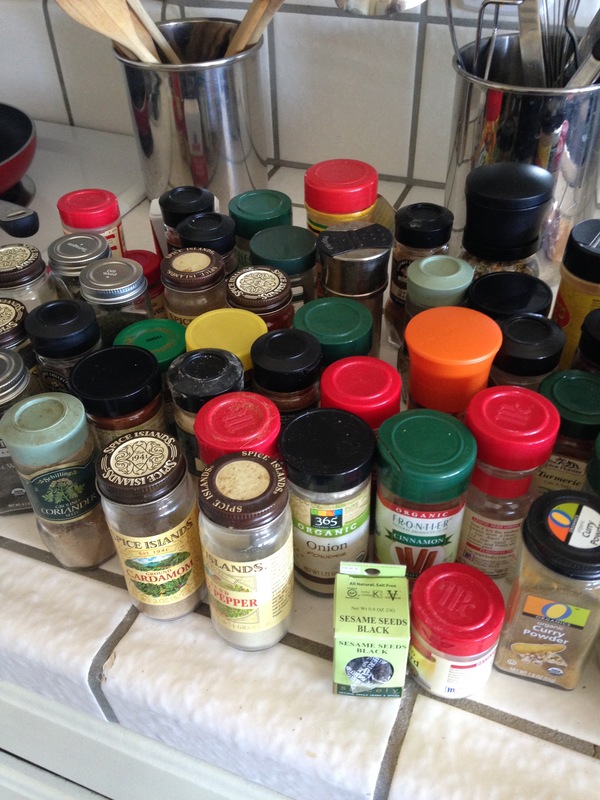 When cleaning out and packing up our kitchen I managed to toss about 20 bottles of spices, reducing the lot down to what I thought was absolutely necessary. Guess what? I still have too many. My new spice inventory includes: Italian blend, Curry blend, Mexican blend, freeze dried garlic, oregano, cumin, salt and pepper. It will just have to do. 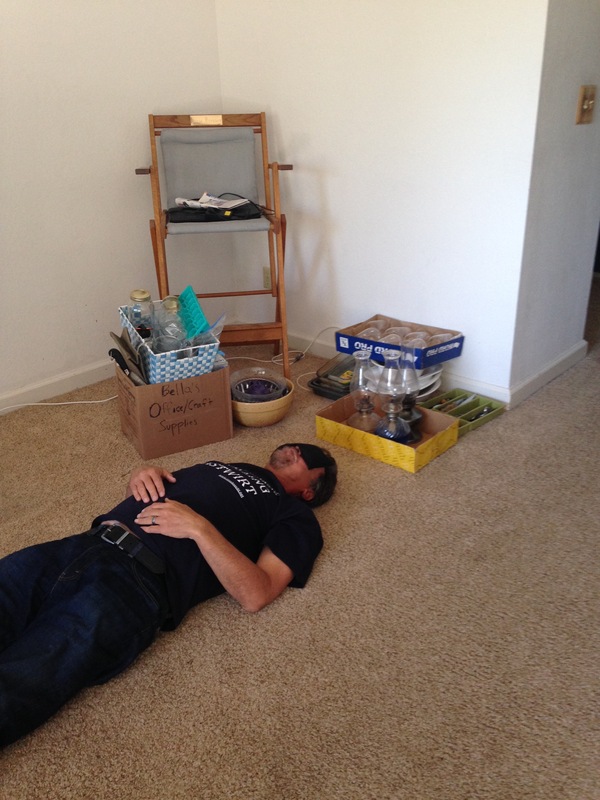 Our saving grace has been the small storage unit we decided to temporarily rent as a staging area. It was possibly one of our most brilliant ideas. It has allowed us the room to slowly get ourselves and our stuff moved into the boat. I can’t imagine what it would be like otherwise. Even with the slow trickle of stuff coming aboard, things are in complete disarray at times. Simple boat projects become an explosion of towels, shoes, tools, cushions and clothing. I have had my first trip to the laundry mat which was, oddly enough, a nice relaxing time to just sit and read. We are still operating off of an ice cooler for refrigeration and that will be the situation until we install the compressor and cold plate, which won’t get completed until we install the new solar panels. Needless to say the projects are stretched out before us. The good thing is that there is no longer the distraction of selling a home and dealing with a lifetime worth of stuff. Even through all the chaos, we still managed to anchor out for a few nights off of Santa Cruz for the July 4th weekend. We sat in the cockpit and watched fireworks being set off on the beaches. It was a small glimpse into the life we will soon be enjoying. 7 Responses to One week as a live aboard! Congratulations you guys. Starting off a new journey in life. What courage. I admire you. Thanks Jeff! Plan on seeing us in your neighborhood on our way down the coast. We love you! Now you are on your way for sure! One cruiser I read about made a chart listing where items were stowed aboard their boat. We have a Westsail 28, so our storage is more limited. I enjoy following your progress. We live in our house and sail in the Puget Sound and Canadian waters. Our local granddaughters are learning the ropes (lines) and are very helpful as we get ready to go sailing, manning the helm and buttoning up when we return. They are true sports and enjoy when the wind kicks up and the boat heels. Best wishes as you make your final preparations! Thanks for following us. I look forward to a time when I get to sail with grandchildren. How wonderful that you get to share with them. Sherri/Steve: Looks like your preparations are almost finished 🙂 I was looking at your blog and noticed that you are sailing 9/7/15 in one month… but isn’t it really about 2 months? Huh!?! Thats weird! I never really noticed that before. Your right! The counter is off. Yay, another month! Im kind of glad because we still have so much to do. Thanks Jay! Welcome to the world of living aboard and all the joys (and pains) that go with it. Start that boat journal of stored items soon or you’ll be searching, digging and frustrated because you might believe it was left behind and buy another one. Been there. So excited for you guys!